Everyday Food Made Simple: Our NEW THRIVE Express Meals! During our Convention, several NEW products were introduced! One of our new product lines was created by Chef Todd......are you ready? I'm so EXCITED! If you can boil water then you can enjoy one of our 12 NEW products from any one of our tasty entrees, sides, and soups! Say "bye bye" to packaged meals you buy at the grocery store that hardly have any vegetables or flavor! Our Express Meals have some of our Freeze-dried ingredients in them! All of our Express Meals come in a box with a Tear-away front for easy access in cupboards or in your pantry. They are available in our 5 pack (all the same) or our 12 pack (1 of each) Each Pouch has 4 servings...so that's about a $1.85 per serving! All you do is add water....so in about 10 to 15 minutes you have a meal....it's that easy! I know if I went through a McDonalds drive thru.....for a family of 4 the minimum would be $20.00....that is high in calories and saturated fats. Check out this short video to compare! 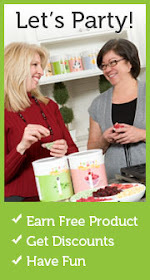 See the savings and difference in nutrition and your time? 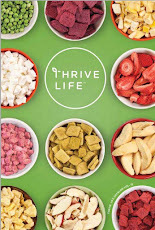 THRIVE Express products are full of…. 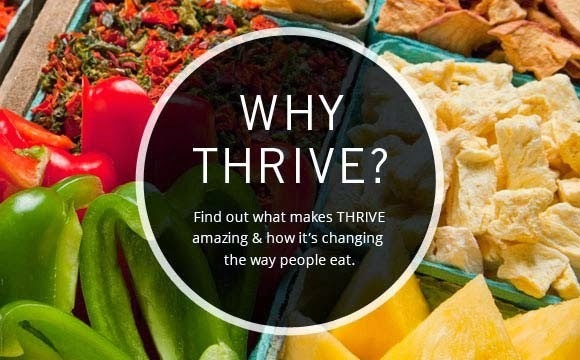 Nutritious, great-tasting THRIVE meats and vegetables. Only require water for simple preparation in minutes. The extended 5–10 year shelf life of THRIVE Express makes it both a perfect choice for your Home Store and a tasty addition to your kitchen. These pouches make it easy to create healthy, convenient, and well-balanced meals the whole family will love.